On new years day my brothers and I made ginger champagne, as we have in years past. In 2013 I had the bright idea (inspired by this recipe) to use the “waste” from the brewing, i.e. the ginger peel and lemon zest, in an infusion. That turned out to be a a tasty success and we decided to do another infusion this year. I happened to have a large amount of brandy lying around so we decided to experiment with that. This recipe is still basically a riff on that original boozed and infused recipe, but ratcheted way up since we have a lot more leftovers to go around now that we’re making 5 gallon batches of champagne. After two weeks I stained and tested the infusion. Depending on how much ginger you put in you may want to let it sit longer. It was good and gingery but on the sweet side. If you’re starting from scratch you won’t have this problem, you’ll probably want to add simple syrup or agave to taste. The vermouth and bitters balance out the sweetness of the brandy quite nicely making for a smooth and spicy variation on the classic Manhattan. Are you interested in cryptography or Internet security? Matt Baker and I are leading another learn-a-long workshop where we all work through Matasano’s cryptopals challenges together. 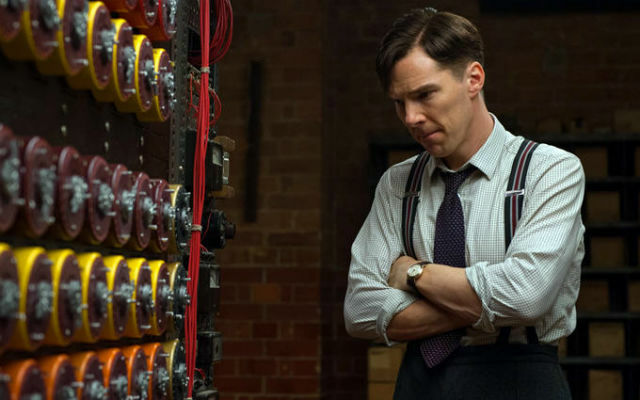 If you watched the Imitation Game and were wondering what cryptography looks like now, this might be just the thing for you. The next meeting is Wednesday January 21st from 7PM to 9PM at Dev Bootcamp. None of us are experts — we’ll all be learning this stuff together. Some people will be just starting out, others are part of the way through the course. Bring your laptop, charger and learning spirit! It’s like this, basically, except none of us dress this well. Another year has passed and with the previous night’s exuberance still ringing in our heads, the brothers Shanan got together to brew our annual ginger champagne. The 2014 batch turned out pretty well but we’re still seeing some inconsistencies in the bottles. Some were great but most were a little too sweet and not as carbonated as we’d expected – – both signs of incomplete fermentation in the bottle. It was perfect as a mixer for cocktails, though, and I’m keeping a couple bottles in the hopes that another month or two will be what they need. 2014 wasn’t the banner year I was quite hoping for but it wasn’t 2013 so at least it had that going for it. There were some very moderate successes that I’m really pleased with as well as some goals I never made it to. I added a new tool this year that has really streamlined my use of Trello and Beeminder. Zapier is a service in the same vein as IFTTT. You choose one service as a trigger and another to be triggered, allowing you to automate new things. For me that means when I move an item to “Done” in Trello I no longer need to enter it into Beeminder by hand. Cutting out that second step has made me a much better user of Trello. Since Beeminder is the record keeper that matters, moving items to done in Trello was often an afterthought. Now I can focus more on the things I need to do and trust that the record keeping is happening automatically. I really like the idea of IFTT and Zapier, but it wasn’t until Zapier got their Beeminder integration that I found a real use for them. That wasn’t the only automation I added this year. I wrote some code to make recurring tasks on Trello easier. It’s definitely helpful but due to some issues with my server I haven’t actually used it as much as I hoped to. I’m writing more than I did last year though you wouldn’t know it from looking at these stats. A lot of that writing is taking place elsewhere. Here thought it’s been more posts but shorter ones. Both of those are true in part because I’ve been using very short posts to announce the Crypto Learn-A-Longs I’ve been doing with Matt (more on that below). Since most of what I do here is document projects there’s a lot more that goes into a blog post than just writing. One of my goals for next year is to do more writing that stands on its own. And who knows, maybe I’ll break that article per month barrier too. Views are up again. I attribute that to two things. First, the learn-a-longs. October was far and a way my best month. It’s also the month I published both learn-a-long articles. Since those are event announcements I felt less self conscious about sharing them around deliberately and I also had Matt distributing the link. Second, I took on a variety of projects this year that I think brought in some new visitors. Both ExtinctionCSS and NaNoGenMo brought new followers and they’re both about subjects I haven’t really written about before. I had a pretty good year on GitHub. Three of the new repos are responsible for the majority of those commits (ExtinctionCSS, Scheduling Trello, NaNoGenMo). I’m really happy with my performance in NaNoGenMo. I put a lot of thought into the planning and structure phase and it payed off. I started small and doable, knowing my time would be limited, and built from there. This was my first foray into generative art and I had an absolute blast. I’ve got a lot of ideas that came from this so hopefully you’ll be seeing more of this next year. One project you haven’t seen me writing about has come to a close in December. I’m moving on from Coyote. I had a good two years there — I learned a lot, especially about product development and leading a team. Shout out to my team, Growth Junkies. Thanks for everything! I’ll be joining Nielsen Marketing Analytics as a Senior Developer where I’ll be doing a lot more front end development as well as learning some sweet machine learning algos. To growth in 2015!